Do you ever get one of those days where things get out of hand, the frustrations mount, and feel your heart is breaking because you feel it’s you .. that you are the cause of it all? Perhaps you even get months like that? And yet in your mind, you know that you coming from a good place and yet people seem to get the wrong end of the stick. When this happens over and over again, you may start to question your sanity, you may start to question yourself and you feel like your heart is breaking. Are you a bad person? Maybe you are losing your mind because your interpretation of a situation isn’t the same as the other person. I reckon that these feelings happen to the best of us, so there is no need to feel alone. Yoga is about moving from a place where there is a ‘squeezing of the heart’, a bad, uncomfortable space, to a ‘good space’ …. isn’t that nice, the phrase, ‘a good space’? In order to do that, you need to sit in a place of self-awareness; being able to be open and honest with yourself. Be willing to look and accept the good, bad and the ugly about yourself, and then create new habits, pathways of thinking, ways of acting, that will help you make the shift, the move towards a good space. Yoga is about self-study, self-observation and taking disciplined action. And I will be honest in saying that whilst I may spend time reflecting, the action isn’t always as easy. A few days ago, I came across this Tony Robbins video about the Basket Brigade that he set up. The key teaching from the video is that your life is shaped by the decisions you make and at every given moment, you are making three decisions that will shape your destiny. First, focus. What are you focused on? Second, the meaning you give to the situation. Thirdly, the action you take as a result. Do have a look at the video as it will explain things more clearly. Putting that into practice, know how your mind works. Are you a glass half empty or glass half full kind of person? Because that will influence the meaning you give to the situation and therefore affect your action. So when you find things getting out of hand, …. STOP! 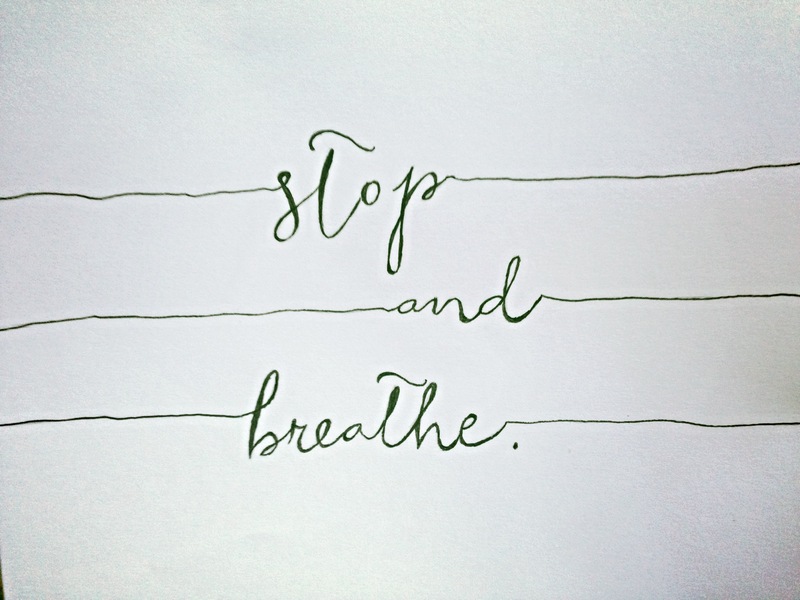 Take a BREATH … or two … or three .. or even step away from the situation for a moment to connect with your breath and clear your mind. REFLECT, and then, decide on what ACTION you wish to take. I’m a work in progress … how about you? ?